The energy supplier First Utility, which was bought by Shell in early 2018, has now been renamed Shell Energy. The company will deliver electricity to over 700,000 customers through exclusively renewable energy sources. Shell is clearly making moves to distance itself from its reputation as an oil and natural gas provider as countries all over the world are turning their backs on the use of fossil fuels for fuel and energy which are harming our environment. Shell has also purchased the electric vehicle (EV) charging infrastructure provider, NewMotion, and a renewable energy storage specialist, Sonnen. On Monday 25th March Shell confirmed that all of First Utility’s customers had been automatically switched to renewable electricity. If you’re a customer of what is now Shell Energy, you won’t have had any interruption in your service or price change; the only change you’re going to notice is that your direct debits will now show as Shell Energy. The electricity being provided by Shell Energy comes from 100% renewable sources, including wind, solar and biomass and the company has been certified by Renewable Energy Guarantees of Origin (REGOs). Shell Energy also guarantees that for every unit of electricity used by its customers, the same unit is replaced in the grif by renewable energy generators. The company also promised to announce a “string of exciting services” in the coming months, including a range of new smart home technologies such as smart thermostats and home electric vehicle charging.Shell Energy customers can also get a 3% discount on up to 60 litres of fuel each month at Shell petrol stations. 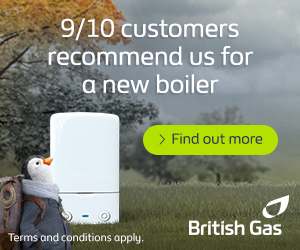 NEXT POST Can You Get a Free Boiler?